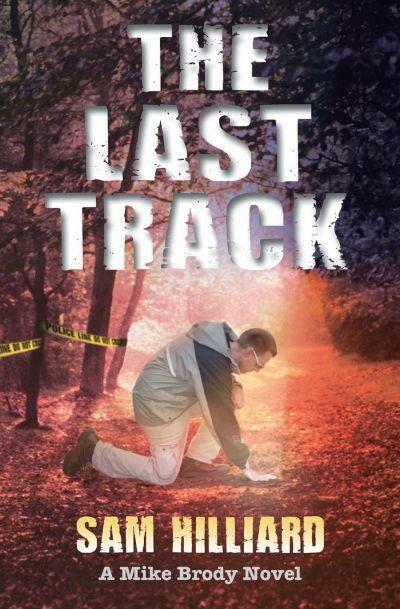 ‘The Last Track’ by Sam Hilliard | What a book! First off, let me just remark, that I love to read, not to write. I have to force myself to write reviews on books after I read them. My latest conquest is the first in what I am hoping will be a long and rewarding series for Sam Hilliard. The main character Mike Brody is well developed and easy to love. Mike is an ex-military tracker/tour guide who has a knack for finding people. This ability is slightly supernatural, but mostly instinct and training. His ex-wife Jessica makes a sassy cohort and energentic sidekick. The story takes place on a dude ranch that Mike and ex-wife Jessica just happen to be vacationing at. There is a murder and a missing, asthmatic teenage witness. Mike and a local cop are forced to track the teenager through a forest filled with peril. Jessica stays at the ranch and uses her reporter ties to gather information for Mike. This is a classic, “I have no idea who done it, everyone seems like a suspect” book. I honestly had no idea which one did it until the final pages. For a first book, I thought this was great. I think that Hilliard has the ability to make a great author. I am looking forward to reading more. My only complaint would be to spend a little more time on the story development and less on trying to give you additional options for the potential killer. 3 1/2 out of five stars. Great start. I normally hate authors’ first books. You will like this book if: You like to keep guessing who did it thoughout the book. This had a John Sandford-like style.